Ah, exam stress. If you’re currently at university, then you’ve probably reached the most stressful time of year, which typically involves many hours cooped up in the library revising, stressfully tight schedules, and copious amounts of caffeine to get you through the stupid ‘o’clocks’. So, what’s better than a good escapist read to transport you to another world for those brief, relaxing moments between revision and exams? Here are a few suggestions for some great short stories – from fiction to biography – to help this tough exam period gently hover by like the lightest breeze on a green prairie…well, at least somewhere close to that. If you’re a classical literature fan and fiction happens to be your favorite book genre, then this one is for you. First published in 1888 by one of London’s most renowned playwrights of the late 19th century, Oscar Wilde, The Remarkable Rocket is a short but fantastic tale from classical literature, part of a collection of five fairy tales titled The Happy Prince and Other Tales. 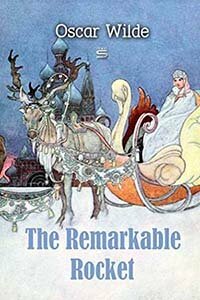 The miniature story, set in a magical kingdom from times gone by, is centered around the powerful love story of a wealthy prince and a Russian princess who drove from Finland in a sledge driven by six reindeers. After their initial meeting and love at first sight a year prior, they begin making plans for a grand wedding that’ll encompass extravagant festive elements, including fireworks to conclude the celebrations. The fireworks, however, are magically able to talk, and we’re introduced to the eminent Remarkable Rocket. Wilde wrote the tale as a satirical interpretation of the era’s supposed upper-class vanity and ‘masculine conceit’, and like many fairy tales written during this period, it’s a subliminal yet powerful reflection of society at the time. 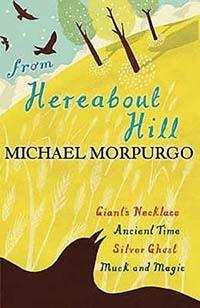 Michael Morpurgo was undoubtedly one of my favorite authors and story-tellers growing up, and the best thing about his stories is that they’re so universal among readers of pretty much all ages. From Hereabout Hill is a perfect read to help relieve exam stress and fill in those short study-free periods. In this collection of captivating short stories, you’ll enjoy a mysterious tale of a little girl who succumbs to the stormy sea while collecting cowrie shells to make a big necklace; a compelling story of a young traveler from Glastonbury who travels back in time to ancient Palestine and establishes an unlikely friendship with Jesus of Nazareth; an eerie ghost story about a house that was destroyed by a mysterious fire; and a collection of stories within the collection, which delve into a variety of rural settings, including the isolated countryside and an abandoned Lebanese garden. 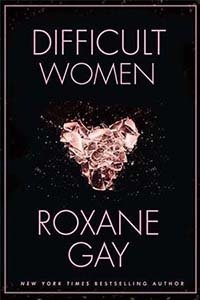 Roxane Gay is known for her feminism infused writings and deep, insightful essays, but she certainly succeeds just as well at fictional writing; in Difficult Women, she compiles many short stories which highlight the lives of 20 or so different women in modern America – all facing profoundly challenging life traumas, but who have one common element: difficult or abusive men. The focus of these stories, however, is Gay’s attempt at emphasizing the women’s characteristic strengths and abilities to overcome their problems, each displaying a unique quality which eventually helps them to escape their unfortunate circumstances. Each of Gay’s stories in this collection are so well-written, and her powerful use of psychological perception to help create these characters owes much credit to the relatability many female readers feel, in that no matter what threats they face in reality, there’s always space for resilience, independence and an individual sense of identity – the latter two characteristics in particular often repressed by women living in traditional patriarchal societies. This isn’t a structured story, as such, so it’s a perfect option for those of you who’d prefer to pick and choose whichever page you’re going to read first in a book – depending on the mood or time of day. 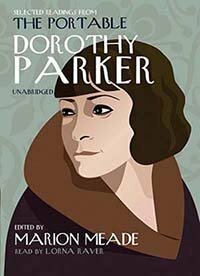 Originally published in 1944, The Portable Dorothy Parker is a collection of stories, poems, articles, and various letters and reviews from one of the 20th century’s most popular humorists. In this new second revision, edited by American writer Marion Meade, anyone can be certain they’ll find a relatable quote or verse from the original author – and it’s sure to get you laughing and ease the dreaded exam stress, too. What’s more, an assortment of new material has been added to form a truer, more complete reflection of her work on much deeper topics, such as employment, race, and international politics – great for igniting those late-night debates with your flatmates, if you’re into that sort of thing! Whatever your preference when it comes to book genres, you might occasionally find yourself craving a bit of melancholy (in the best way possible). 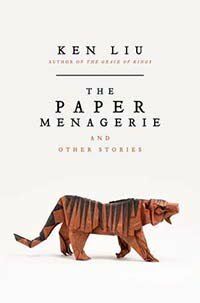 In Ken Liu’s The Paper Menagerie and Other Stories, a collection of his award-winning science fiction and fantasy short stories are included, with the Paper Menagerie earning its title as the most loved story in the anthology. It tells the tale of a bi-racial boy named Jack, who immigrates to the US with his Chinese mother. During their shared efforts to ‘fit’ into their new surroundings, Jack’s mother creates an origami menagerie for him, and literally breathes life into them, after which they start to interact and play with Jack. Sadly, Jack begins to experience racial bullying at school, which forces him to get rid of the menagerie and distance himself away from his mother, to the point where their relationship becomes increasingly tense and difficult to handle. After some passing of time, his mother tragically passes away, and he discovers a collection of letters that she’s been writing in the paper of his menagerie – letters that would soon reveal her own silent but painful struggles. If you’re a bit weird and anything like me, then a good ghost story is guaranteed to help you unwind and even get your creative juices flowing – I kid you not. 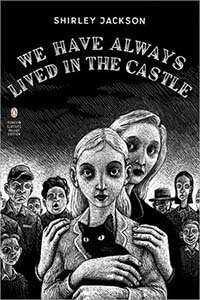 We Have Always Lived in the Castle is a short thriller novel, written by horror and mystery writer Shirley Jackson, and first published in 1962. It was the author’s final work, having been completed and released just three years before her death in 1965. The protagonist in this story is also the first-person narrator; an 18-year-old girl named Mary Katherine Blackwood (dubbed ‘Merricat’ in the story), who shares a home with her sister Constance and their ailing uncle on an estate in Vermont, US. The novel focuses on a series of events, to which six years prior, Merricat and her two remaining family members had faced an unfortunate tragedy which killed both her parents, a younger brother, and an aunt. The village people, who believe Constance was the non-proven murderer, grow hostile towards the family, pushing them further to isolation. But when the Blackwood sisters’ estranged cousin Charles suddenly resurfaces to pay them a visit, Merricat becomes increasingly threatened by his troublesome presence, triggering a series of ill-fated events to unfold and the real murderer to finally come clean – who could it be? Do you have any book recommendations for overcoming exam stress? Let us know in the comments below!